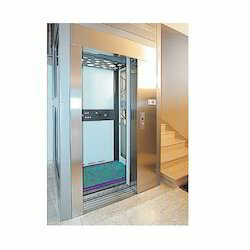 We are one the leading manufacturer and supplier of commercial elevator/ showroom lifts. We offer these lifts which are design and manufactured by our highly qualifies engineers by using very high quality material which are procured from very reliable vendors of the markets. 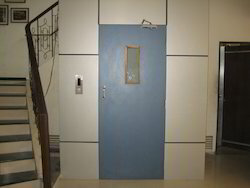 Our lifts are widely appreciated for its various features and these are available in various specifications also. And we offer these at very cost effective prices also. We manufacture and supply a qualitative range of Showroom Lifts (Electrical/Hydraulic) that are available in customized as well as standard models in the market. These products are available to add immense value and look to the home as well as also save the considerable time amount. Apart from this, these lifts also decrease the work load as well as enhance the productivity of the workforce. We are instrumental in offering to our clients Commercial Elevator in both standard as well as customized models to suit every requirement of our clients. An electric dumb waiter saves laundry and groceries from floor to floor, lugging firewood or suitcases from a ground level garage or basement from creating stairway accidents. In addition, it also saves considerable amount of time and adds immense value to home and replace old manual dumbwaiters. In commercial setups these dumbwaiters and restaurant lifts increase productivity and decrease the workload on the workforce. These save time hauling mail or packages between multiple stories and also transporting food from kitchen to dining area in different application areas. We specially design these elevators reducing approximately 80% of labor normally associated with these products including manual dumb waiters. The drive systems are pre-assembled and aligned in the factory itself and are pre-wired for easy assembly.